For one very talented ape, having no trainer and no assistance is no problem when it comes to making a favorite fireside snack. 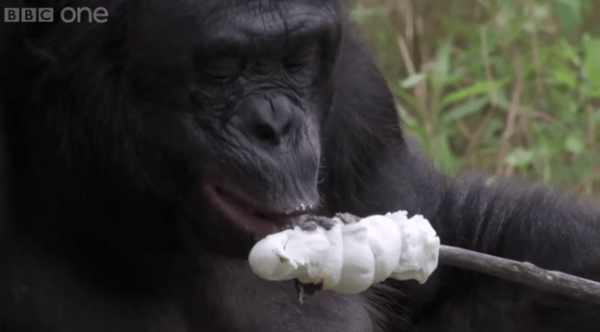 Kanzi the bonobo is not your average animal. The ape knows some American Sign Language, can create stone tools, and apparently cooks. That last trait is highlighted in a viral video from BBC One. 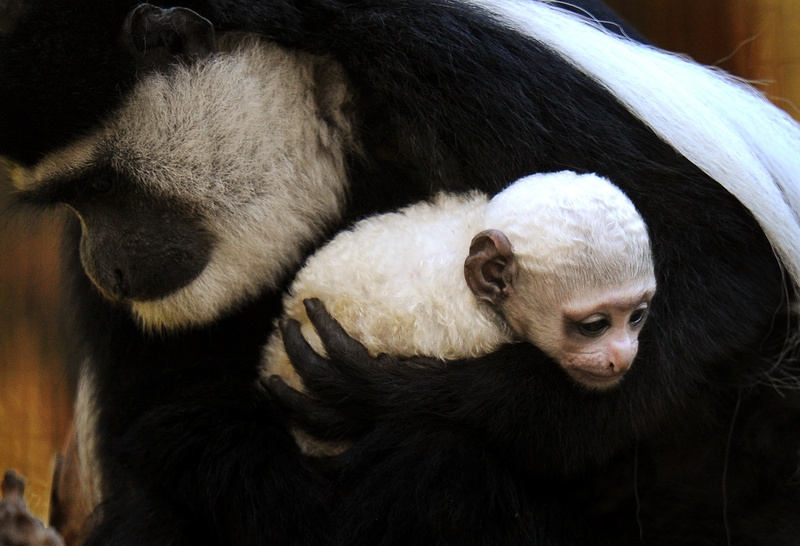 The U.K. network’s show “Monkey Planet” explores “your animal family as you’ve never seen it before.” In the series, the characteristics that primates share with humans are explored. A shining example comes courtesy of Kanzi. George McGavin, the host of the show, narrates the video. In the minute-long clip published to the BBC’s YouTube channel, Kanzi is shown building a fire. The bonobo breaks debris and wood before piling the pieces neatly. He then lights a match and uses a small branch to ignite the fire. We hope the little guy doesn’t get swimmer’s ear. According to YouTube user Nancy Belal, who uploaded the video above, this baby elephant is enjoying its first time in the sea. The splash session took place in the ocean off a Thai island, Power 94.9 FM reported. It makes for one adorable aquatic encounter. 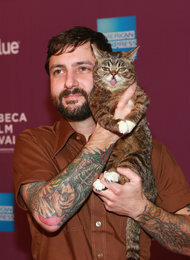 If you are the type of person who is inclined to watch YouTube videos of cute animals doing even cuter things, you’ve probably encountered Lil Bub: the adorable, wall-eyed kitten with a perpetually protruding strawberry pink tongue. We’ve seen plenty of animals aided by human ingenuity lately: “Flipper,” a cat who lucked into a sweet set of wheels, and ” Chris P. Bacon,” the piglet given a new lease on life with K’Nex toys, rank pretty high on the cute list. But, as it turns out, we hadn’t seen anything yet. Enter this goldfish. The fish has trouble staying afloat, so her owner — apparently an aquatic MacGyver — fashioned her a homemade, floating harness. 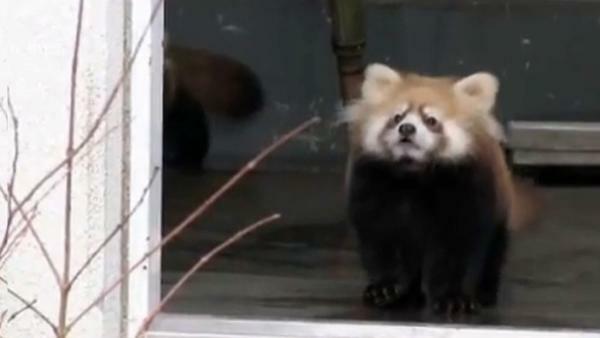 A baby panda gets quite a fright and it’s caught on camera. In the footage, an adorable baby red panda in Japan throws up her paws and falls on her back after a zookeeper surprises her. The video was posted on YouTube and has been viewed more than 460,000 times in just five days.